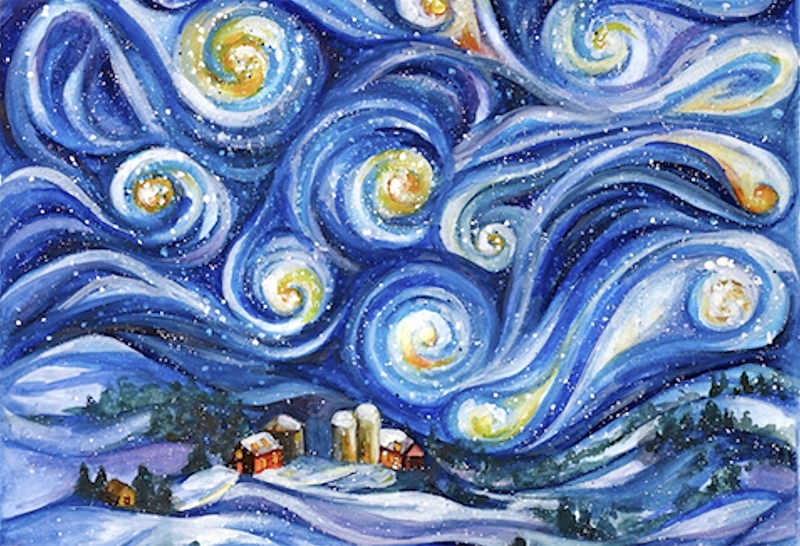 “Night Flurry” 10″ x 14″ watercolor. Prints Available. 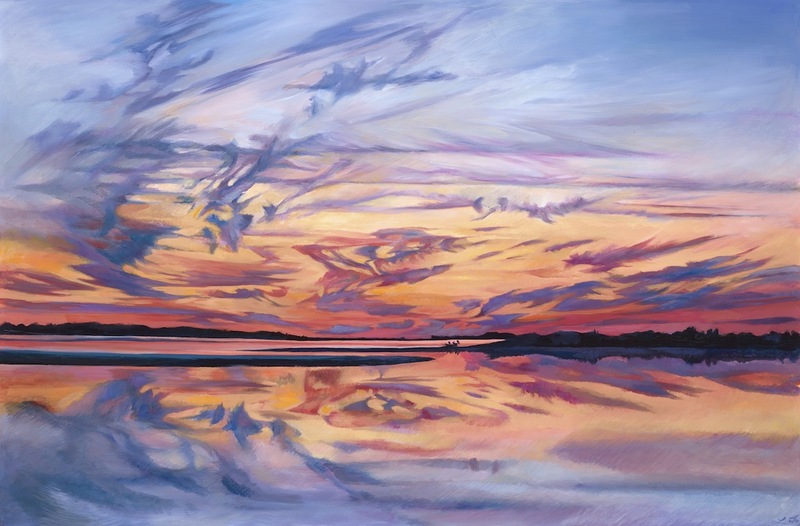 “Summer Solstice From the Brick House” 16″ x 34″ oil on birch. Prints Available. “Autumn Bales Below Camel’s Hump” 18″ x 28″ oil on birch. Prints Available. “September From Mt. Philo” 16″ x 34″ oil on birch. Prints Available. 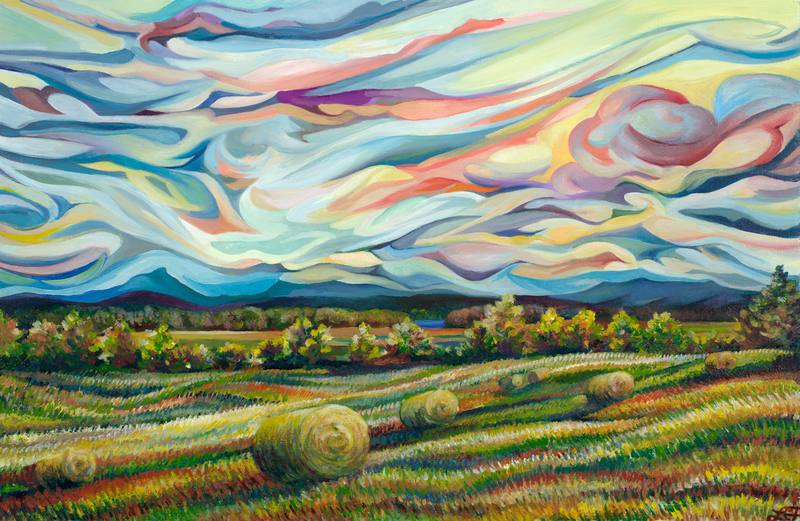 “Winds Over the Meadow II” 22″ x 40″ oil on birch. Prints Available. “Spring From All Souls” oil on wood. 20″ x 40″. Prints Available. 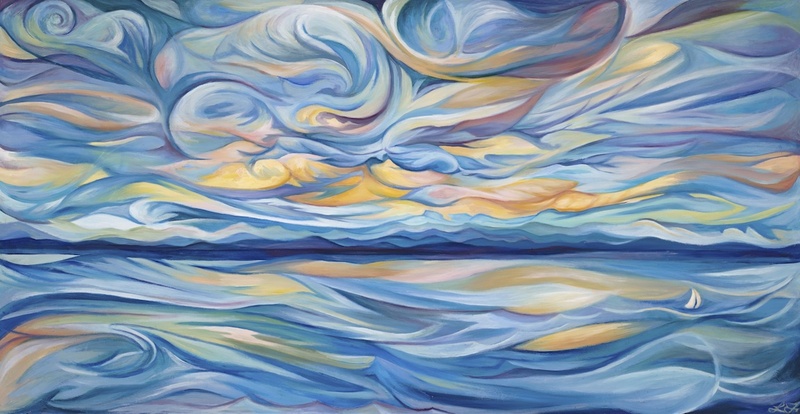 “Lake Champlain Rhythm in Blue” 30″ x 54″ oil on birch panel. Commission. Prints Available. “View From the Bridge” 28″ x 38″ oil on birch panel. Commission. Prints Available. “Night Glow From Mt. Philo” 8″ x 32″ oil on birch panel. $850, custom frame included (not shown). Prints Available. “Blossom Over the Mountains” 14″ x 40″ oil on canvas. Prints available.